"We're only going to do this once - let's go for it!" That's the attitude I always love to hear when it comes to wedding photography. You're only going to wear that dress and that suit together at the same time once, and it's going to be on your wedding day. Why not go all out to get some awesome photos even if you're going to get a little wet? 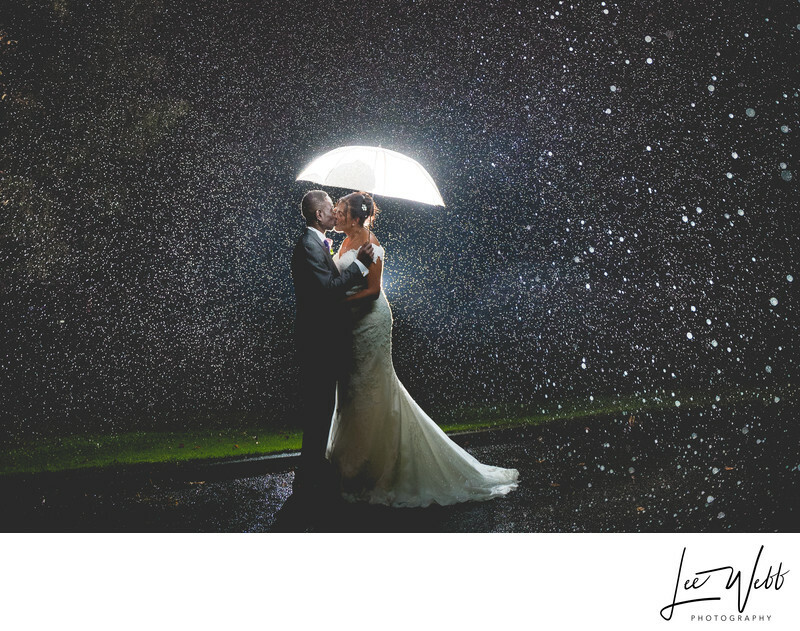 Most brides and grooms shudder at the thought of having a rainy wedding day, but Jacqui and Howard embraced the British summer weather and still had their wedding photos taken outside. The rain during the church service was torrential and the strong winds meant it was coming in sideways. We took a couple of shots at the church before moving on to Kings Norton Golf Club for the wedding reception. The rain persisted, so we opted to take the formal wedding photos indoors using my lighting system and the photos look amazing! We had a very lucky break for 30 minutes later in the afternoon so we seized the opportunity and headed straight to the grounds of the club. 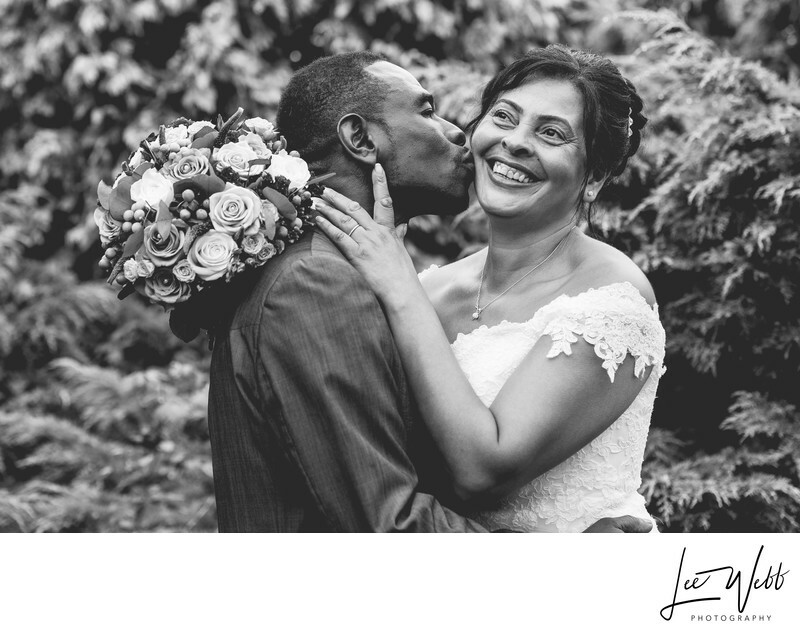 I think the smile on Jacqui's face shows how happy she is to have had at least some wedding photos taken in the dry! 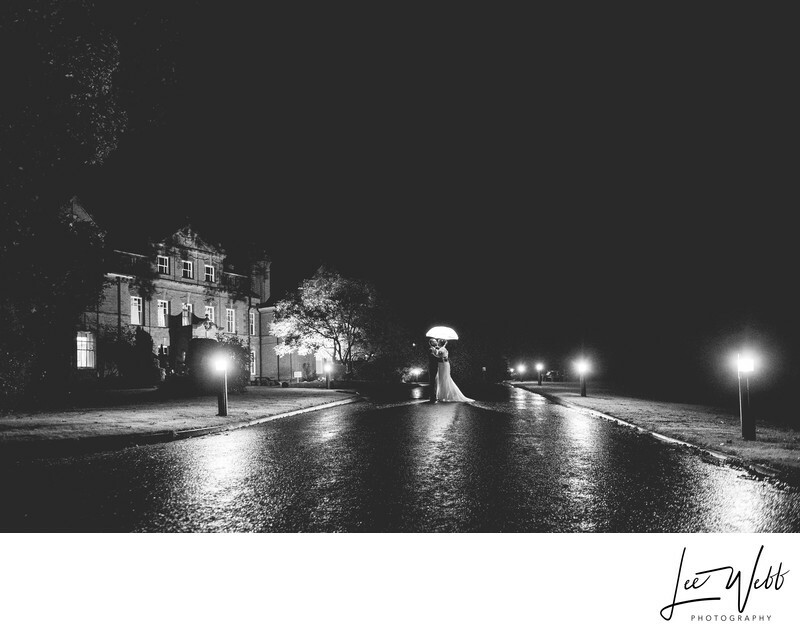 Location: Kings Norton Golf Club, Birmingham .